Assistant Professor Heather Gainforth researches behaviour change with the School of Health and Exercise Sciences. 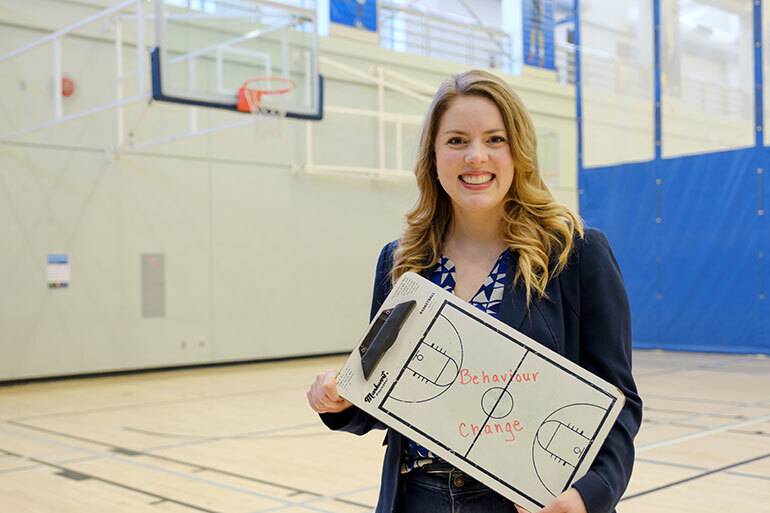 Using a page from a coach’s playbook, a UBC researcher has come up with a method to analyze behaviour change counselling sessions and determine what makes them work. UBC Okanagan Assistant Professor Heather Gainforth researches behaviour change with the School of Health and Exercise Sciences. She has recently published research explaining her approach to understanding the play-by-play of counselling sessions to help people make positive changes in their lives. It’s common for sports psychologists to use audio and video recordings of practices to analyze and closely examine the relationship between a coach and a player, she explains. They study every word, every move and every reaction to determine how the coach supports the athlete to have a positive or negative experience during training. “I realized when I was working with sports psychologists that they are studying every single interaction of the coaches and the athletes,” says Gainforth. While working with clients hoping to quit smoking, Gainforth tried the video play-by-play analysis. With permission, she used audio and video recordings to scrutinize minuscule details of sessions between a client and counsellor. By examining behaviour change counselling second-by-second, she looked at the frequency, sequence and duration of each interaction between a client and a counsellor. Behaviour change happens, she explains, during a conversion between a client and a practitioner. She then used state-space grids to map each interaction in real time and monitor how the practitioner and the client interact together. Gainforth says the grids allow researchers to examine the dynamics between the client and the practitioner. It’s the first time in behavioural science, she adds, that researchers have been able to understand how these interactions actually make a difference.